After the 1975 closure of the Shingwauk Residential School in Sault Ste. 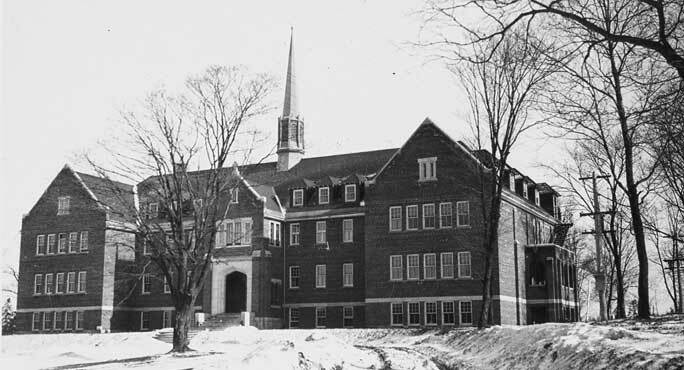 Marie, the school building was transformed into a segment of Algoma University’s campus. Every year over one thousand students walk through the halls, attend classes and graduate with degrees as they do at any university campus in the country. However, this current function of the building is far different than the reality of its disturbing past as a residential school. For the last few decades, the Children of Shingwauk Alumni Association has been holding annual conferences in the original Shinguak Residential School building in order to keep its history alive in the minds of current and future generations. Though these gatherings are geared towards the residential school survivors and their families, they are also attended by people from communities across Canada and the general public. Ciimaan/Kahuwe’yá/Qajaq staffers Catherine Edwards and Mykelle Pacquing, supervised by Professor Alex McKay, attended this year’s three-day conference. This reflection is intended to capture the experience and impressions that Mykelle and Catherine wish to share. The theme of the 2016 Shingwauk Residential School Conference and Gathering was “Fulfilling the Vision.” This theme refers to Chief Shingwaukonse’s vision to establish a school centered on Anishinaabe language and culture. After Shingwaukonse’s death, his vision was twisted so that it could be used to found the Shingwauk Residential School. Like other residential schools, Shingwauk became the site of cultural genocide where Indigenous children endured unthinkable acts of physical violence and psychological cruelty. The purpose of this year’s conference was for alumni to share their experiences and to discuss steps that are now being taken to return to the original vision of an Anishinaabe-centred education. Through seminars and workshops on Anishinaabe education, we were given the opportunity to learn about groundbreaking work that is being put into action at Algoma University. Of even greater impact, though, was being able to listen to residential school survivors as they spoke about their experiences at Shingwauk. A panel discussion including Mike Cacagee, Susie Jones, Shirley Horne, and Shirley Roach made an indelible impression on all in attendance. One thing that became very clear was that Shingwauk and other residential schools were not actually schools at all. Their purpose was not to provide education to children. Many of the survivors reflected that childhood at Shingwauk was more akin to growing up in a prison or under military rule, rather than being at a school. The events that took place at Shingwauk were horrific, and it is our duty to learn what transpired there and at other residential schools so that the truth can be revealed. At the conference, we met many survivors who remain determined to share their experiences with as many people as they can. 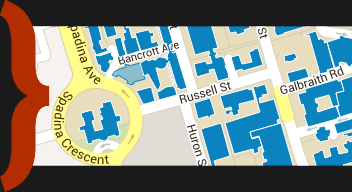 We strongly believe that the University of Toronto should provide more opportunities for its students, faculty, and its community members, especially those involved in Indigenous Studies, to learn more about what happened at residential schools— not just from an academic point of view, but from the survivors themselves.